When you walk up the sidewalk, does the entryway draw you towards it? Or, do you spill your coffee because your heel sticks in a crack, causing you to stumble forward? Do you have a beautiful, backyard patio upholding your precious loved ones as you make memories through parties, barbecues, or a peaceful, summer evening dinner? Is your driveway a constant, maintenance nuisance as you try to keep the asphalt from sinking year....after....year? Concrete is the foundation of your home. It's what you drive on, walk on and live your life on. It should be safe, functional and beautiful! "Chris and his crew did an amazing job on the textured & colored patio. It looks wonderful and he was in and out within a couple of days. We are very happy with the result and look forward to finishing the rest of our backyard projects to tie everything together. Great job!" "We love working with Cornerstone! This was our second job that we had done by Cornerstone and we are just as happy with this as we were with the first. We had concrete put on the side of our house to store our camper. Cornerstone matched our existing driveway and the end result is great!" "They did an awesome job from the very start to the final completion of the project. The patio is beautiful and very well done. Cannot say enough. My husband has worked 35 years in construction and Chris of Cornerstone Custom Concrete is one of the best subcontractors he has worked with. Very professional. Excellent work. 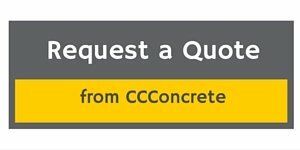 Would have him do another job for me anytime and would recommend him to anyone..."
Want a Minneapolis Concrete Contractor that Makes the Process Pain-free? Concrete is all we do, so we do it well. Hiring us is easy. No confusing contracts, no middlemen to pay, as we do the work ourselves. We know you want quality. You want the best products used because a home needs to last a lifetime and beyond. You also want a home as individual as you are. We hear you! That's why we are custom specialists. We know what works, what doesn't, and how to get the highest resale value out of your home by changing or improving your hard-scapes. We know what colors and patterns complement and what deters potential buyers. Getting the work completed is hassle-free. We schedule all projects in a way that causes us to spend the LEAST amount of time possible at your home. As well as pouring concrete, we also offer concrete saw cutting and core drilling in the Twin Cities and surrounding areas. We work with plumbers to remodel your home or business to make it exactly how you want it - functional and beautiful! Explore our site, take a peek at what is possible, dream, and of course, get your concrete scheduled today. Don't delay in making your home enjoyable to come home to.